Shooting with a DSLR Camera? 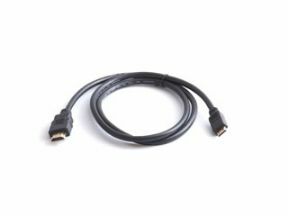 This 3 foot HDMI to mini-HDMI adapter cable provides a connection from your DSLR's mini-HDMI output to the standard HDMI input on your SmallHD monitor. (Functions with any camera featuring a mini-HDMI output). Most DSLR cameras feature a mini-HDMI output rather than a standard HDMI output (as well as several other small cameras). This cable will insure a quality connection between your camera and your SmallHD monitor.